Market Day returns in June! Look for order forms at the front desk by mid-May. Pick-up date is June 13th. The “Over 90” Celebration will take place this year on Wednesday, June 20th. 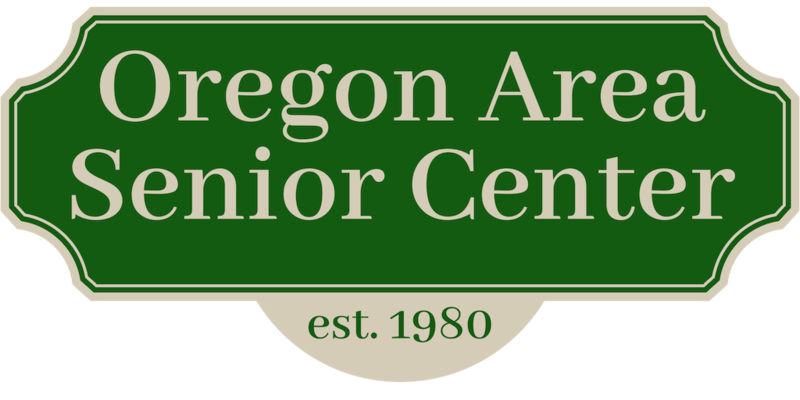 If you know of anyone in the Oregon Community who will be 90+ by June 20th, let us know so we can invite them! The number has steadily grown in the last few years as we honor those special guests for the fourth year. All are welcome to attend. Look for more information in the June newsletter. Attention men and women in the Oregon area. Do you have an interest in woodworking? Would you like to have the opportunity to use power tools to create a shelf, table or bench? We’d like to find out the popularity in creating a woodworking area for your use and to experience one-on-one instruction from an expert. If this idea has you interested, please contact Alison at 835-5801. By partnering with Cellular Recycler, the National Coalition of Aging has developed a way for the National Institute of Senior Centers to collect used cell phones for fundraising and to help the environment by keeping phones out of our landfills. We have a box in Alison’s office to collect not only cell phones but used ink cartridges as well. Ninety percent of the proceeds go to our Senior Center. We appreciate all your support!